The sudden departure of Padraig O’Sullivan has caused controversy in Fine Gael’s youth wing. YOUNG FINE GAEL has declined to comment on the sudden resignation of its president Padraig O’Sullivan last Friday amid suggestions he was forced out by other members. YFG said in a statement last Friday afternoon that it had accepted the resignation of O’Sullivan “due to work and personal commitments” – just seven months after he took up the role. TheJournal.ie has learned that O’Sullivan resigned after some of the Fine Gael youth wing’s senior membership visited his home last Friday with a petition, signed by the majority of the YFG executive council, demanding his resignation or he would be forced out. I can only say that I would have stayed in the position if I felt I had any other option. This afternoon, O’Sullivan’s predecessor Dale McDermott described the situation as “a complete farce” and called on the entire executive council to resign. Most of the party’s 12 council members did not respond to a request for comment on the matter yesterday. Several would not respond to the allegation that O’Sullivan was given an ultimatum to resign when it was put to them. In a private WhatsApp group conversation, seen by TheJournal.ie, one executive council member said there was “far more going on since March than everyone could even believe, shockingly embarrassing in fact”. The same member told this website he was “unavailable for comment” and was one of several we contacted who referred us to interim president Colm Taylor. The situation is that Padraig did resign. It is an internal party matter. The executive of YFG are meeting on Tuesday to discuss matters arising from it. I won’t comment any further. He refused to comment when asked directly if he was part of the delegation who visited O’Sullivan’s home last Friday. An informed source, who declined to be named, told this website that a petition, signed by the majority of executive council members, was hand-delivered to O’Sullivan’s home last Friday. The petition demanded that O’Sullivan either resign or he would be forced out. However, the reasons why O’Sullivan was presented with the ultimatum are not clear. The source suggested there was some disquiet with YFG’s performance in recent times. This seems like a House of Cards type of thing. People wanted him out and wanted to get his job. YFG has around 4,000 members across the country with branches in various third-level institutions. Taylor told the YFG National Discussion Forum, a private Facebook group, that details of a national assembly will be released after the meeting of the executive council today. He said this “will clarify the weekend’s events”. Given the recent events and especially with the media coverage this morning, this has descended into a complete farce. He said YFG’s reputation is being “destroyed”, and that members are “extremely angry” with what has transpired and “the damage that has been done to our brand”. McDermott said that without the resignations of the executive council members, they risked presiding over the “implosion Young Fine Gael right before the party’s most important general election”. Email “'Complete farce': YFG silent on sudden and mysterious departure of president”. 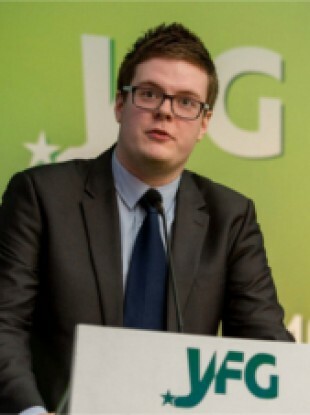 Feedback on “'Complete farce': YFG silent on sudden and mysterious departure of president”.